Henry Grossman, a freelance photographer whose camera captured the spirit of both the young president and the even younger rock stars plus a host of other faces that defined an era. Some of his shots have been hidden away for 50 years, shown here for the first time on television. The Fallen 9000. 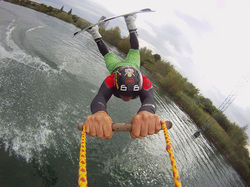 By Jamie Wardley and Andy Moss. 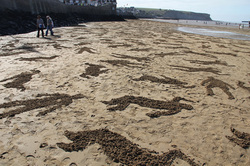 Titled The Fallen 9000, the piece is meant as a stark visual reminder of those who died during the D-Day beach landings at Arromanches on June 6th, 1944 during WWII. Forced perspective and anamorphic illusions comercial for Honda. Here is a behind the scenes video of how it was done. More here. The theme for this week's warm ups: What is art? Last week NYC' Bryant Park hosted a flash mob of 4000 people for Diner en Blanc. Participants, dressed all in white, joined for a lavish meal at a location announced minutes before the event started. Check it out. 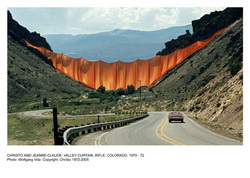 Christo and Jean Claude were all about the how we see the world around us. They created large scale, public, temporary works of art, starting in the 1960’s.